Mixed-use architecture projects are now at the heart of the world’s greatest cities — learn all about RMJM’s finest. One of the areas in which RMJM has had most success in the 21st century is in iconic mixed-use architecture projects. 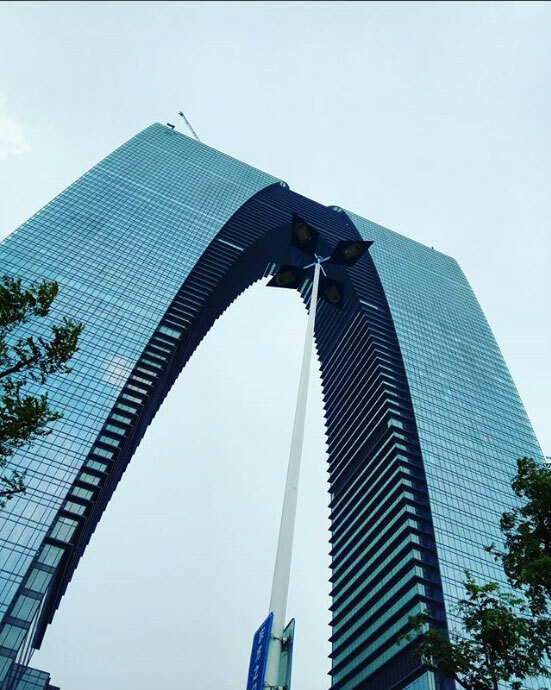 RMJM’s Capital Gate, Zhuhai Shizimen and, most recently, the Lakhta Centre have all received acclaim and worldwide press attention not only for their iconic nature but for their ability to serve multiple purposes. Accordingly, mixed-use projects remain particular complex puzzles to be solved due to their demanding nature. Successful mixed-use architecture projects are the opposite of much modern architecture we see today. It is not broad or bland. At it’s best, mixed-use architecture positively impacts those who engage with it, meets the many needs of the client and those who use it every day. Urban mixed-use development architecture frequently merges commercial, residential units, cultural and retail functions in the same building, providing spaces for living, work and leisure. Below we take a look at some of RMJM’s most eye-catching work in this field. The majority of buildings are designed with a single tenant in mind no matter how many people use it. A convention centre differs as its occupiers rotate on a daily basis with each demanding flexibility and specific requirements. This was emphasized when the biggest media centre in Olympic history transformed into the China National Convention Centre within one year. Of course, while that was always the plan, it doesn’t make the successful re-opening any less impressive. The state-of-the-art building set a new standard for convention centres and remains one of the most popular buildings in Beijing, one of the world’s most forward-thinking cities. The underlines the point that the city, or setting, is fundamental to RMJM’s approach to convention centres. 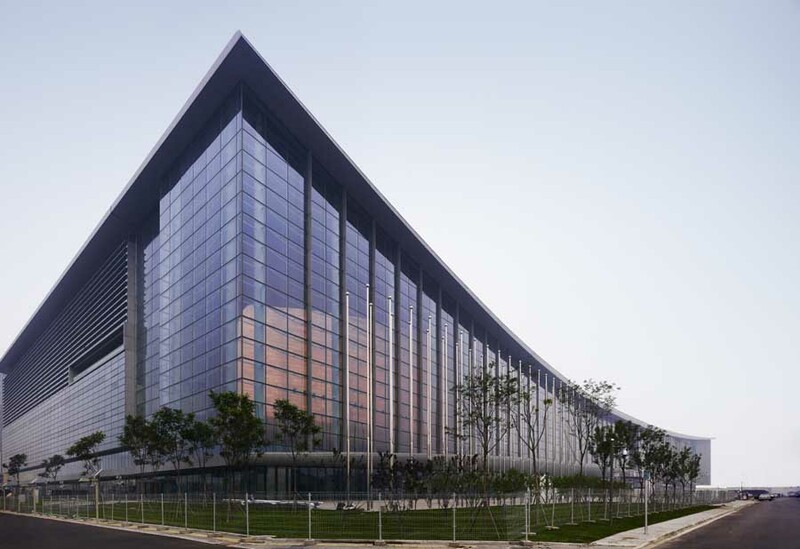 The China National Convention Centre scooped numerous awards upon completion and was noted for its distinctive engagement with local culture, something RMJM holds dear. RMJM’s architects believe that the best convention centres reflect their unique locations, the cultures they inhabit and the events they hold. The idea of merging practicality with emotion runs through their core. The design for the ‘Gate to the East’ was inspired by the combined Chinese traditions and western influences of the project’s two lead designers. The result is an urban development comprising a mix of westernized pure form and Chinese subtlety. It is also one of the most pertinent examples of iconic mixed-use development architecture projects in existence. The project introduces a dramatic iconic ‘gateway’ to the city of Suzhou and represents the significance of China in the world today. 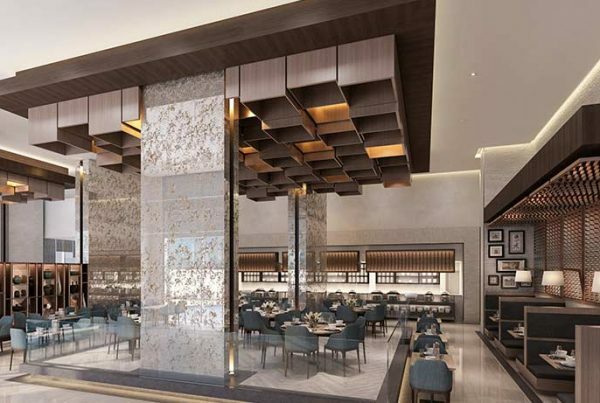 As the focal point of the new central business district, the Gate of the Orient has drawn inspiration from the historic and cultural references of the traditional famous Gardens of Suzhou. Yet for a building so iconic, what makes the ‘Gate to the East’ so remarkable is its impressive versatility. The building stands almost 300m high and sits directly above a major underground rail interchange, which is fully integrated into the building. This merging of form and function sees the ‘Gate to the East’ to move beyond sheer aesthetics and has enabled it to become widely recognized as a beacon of how iconic design can co-exist with practicality. 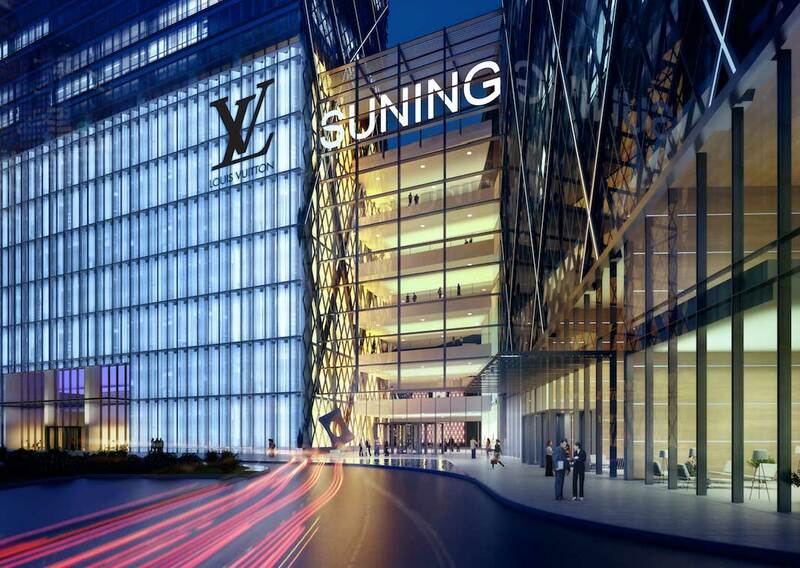 Zhenjiang Suning Plaza is located at the interchange between Jiefang Road and Zhongshan East Road, centered at the heart of Zhenjiang City. The project covers a total area of 33,600 m² and a total GFA of approximately 40,000 m². At a height of 341.3 meters, the new building dominates the city skyline and has already earned the unique position as the new icon of Zhenjiang. This project consists of commercial shopping centres, a super five-star hotel, Grade A office spaces, serviced apartments and a large electrical flagship store combined to create interesting spaces for public activities and functions to enhance the existing CBD area.The design aims to respond to Zhenjiang’s strong historical and cultural elements, reflect natural landscape qualities to create a building that will enhance the beautiful existing cityscape of Zhenjiang and become the new city image. 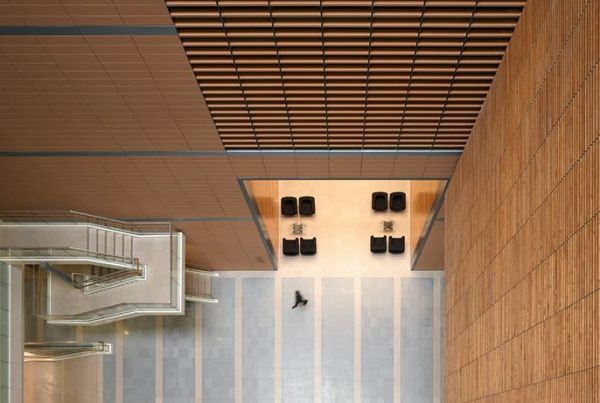 In 2005 RMJM were commissioned to design the six gate precinct buildings to provide a transparent and elegant backdrop to the existing Gensler/Hyder designed Gate Building. The design of the precinct buildings, with special consideration to their height and proportions, relate harmoniously to the Gate Building. They are exactly half the Gate Building’s height and the distance between the Gate and the precinct buildings is exactly the same as the height of the Gate itself. 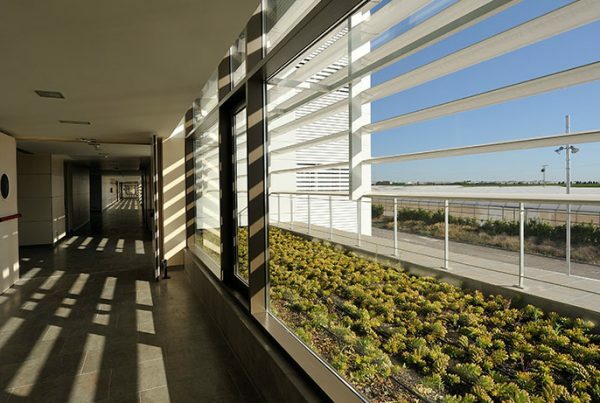 The development is interconnected by a full height glass air conditional link and decorative shaded colonnade which creates a human scale for the development. 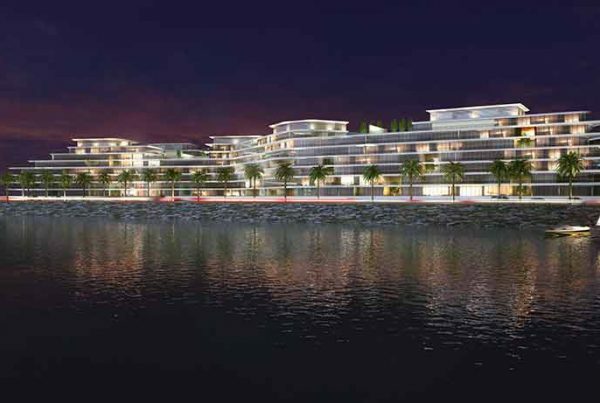 There is easy, pedestrian-friendly movement from building to building within a controlled environment, with a fluid link to the vibrant cafes, restaurants and terraces around the natural landscaped plaza. Externally the predominant material is high tech, full height glass that covers the majority of the building. This is contrasted with warm coloured granite and fabric shades at lower levels. Internally the use of marble, sandstone, granite and rich dark woods create a modern yet sophisticated internal working environment befitting the importance of the area and its tenants. Completed in 2007 the precinct buildings are zoned to provide a mix of uses in a people-friendly environment. 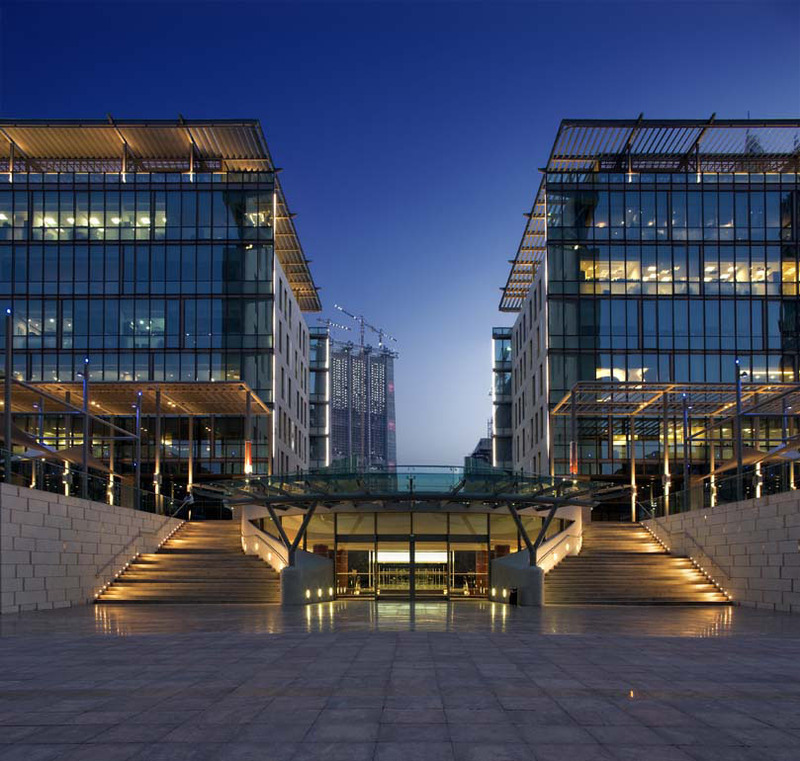 Office floors provide flexible office space with views into the plaza, the adjacent Emirates Towers building and the adjoining DIFC developments.